We believe that loneliness is not inevitable. People of all ages need connections that matter. Yet for 6,000 older people in Doncaster, loneliness is a daily reality. Circles aim to reduce social isolation and loneliness among older people (50+) in Doncaster. Circles help people to be happier, healthier and more connected to their community. 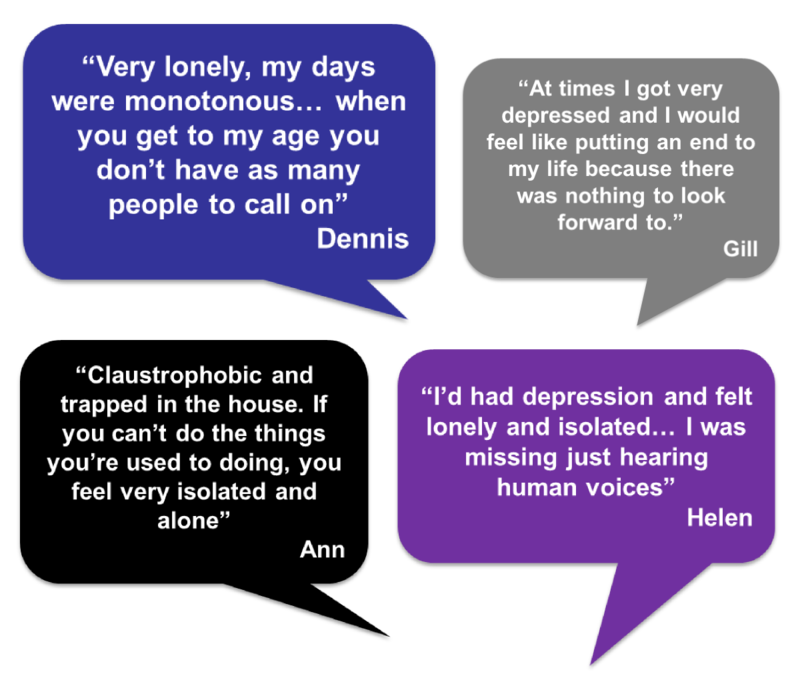 Everyone is different and there are many reasons why someone might be feeling lonely. That is why it is important for us to understand each person’s individual needs, passions and interests. Do you want a Circle? Circles is completely flexible and support is fully tailored to each person. We will work with you to decide the purpose of your Circle; we’ve had people explore all sorts of things from learning I. T skills, building up confidence, keeping up with exercise, or simply getting out and about more. Where possible we invite family, friends and neighbours to be part of a Circle. If you don’t have family and friends nearby we will work with you to grow your Circle, with the support of a trained volunteer. Our aim is for you to reconnect or make new connections in your community, which we know improves health and well-being. 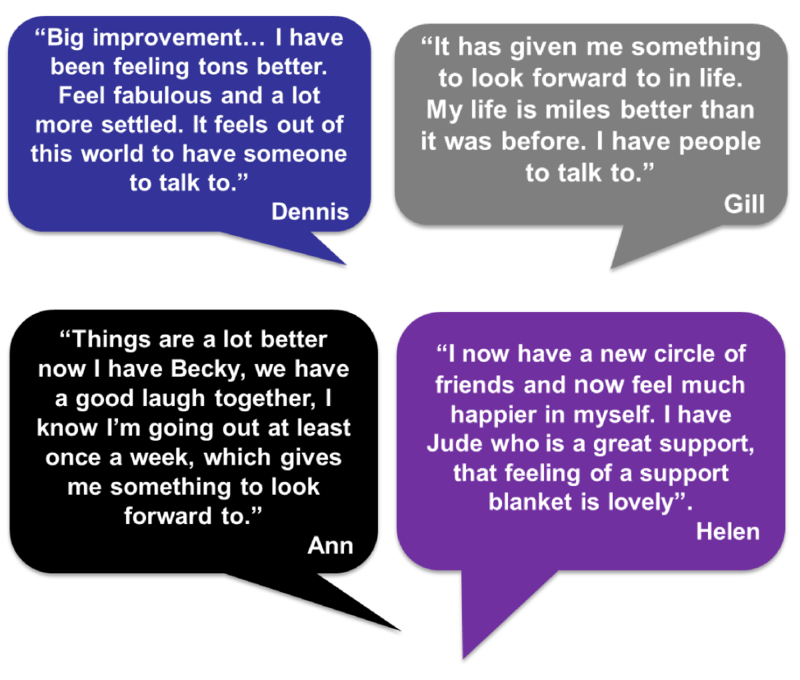 We are already seeing great outcomes from people being supported by Circles…..
How did you feel before? The purpose of Dennis’s Circle is to keep him involved in football and to meet new people. ‘I love football, I could talk all day about it but it’s not the same when you don’t see many people, especially those with the same interests’. Dennis was matched with our volunteer Alex. They have since attended a charity football match together and have been reminiscing over old team photos. His Circle has not been only football orientated, Dennis is an animal lover so his Circle has involved trips to Potteric Carr Nature Reserve, Tia rescue centre and Cusworth Hall to feed the ducks. Dennis’s Circle has grown over the last few months. 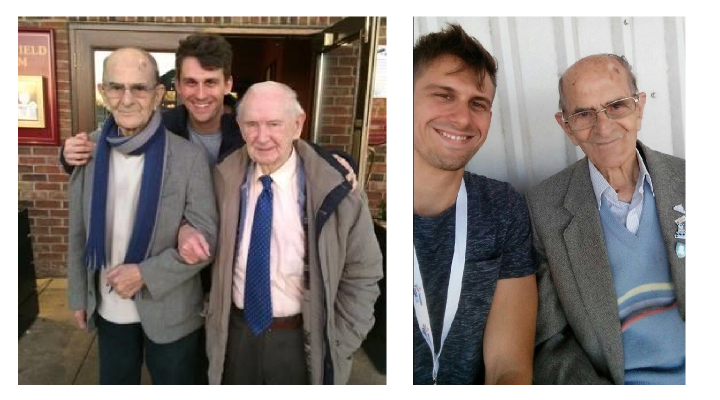 Through Circles he has met Bill who he now sees on a regular basis and Albert, who brings him weekly football newspapers so they can chat about the scores. The purpose of Bettys Circle is to keep her connected to her family who live in Kent. Betty was matched with our volunteer Jenna based on their geography and love of arts and crafts. Jenna has taught Betty how to use Skype so she can now talk with her family on a regular basis. Since meeting, Betty and Jenna have been to lunch, to the cinema and theatre. Betty‘s connections have grown since joining Circles. She has been introduced to Jenna’s family and met new people at Age UK events. ‘It’s made such a difference to me’ Betty tells us, ‘I enjoy getting out more and meeting new people when we get together’. An independent evaluation of Age UK Doncaster’s Circles Project has shown that the project is having a positive impact on reducing social isolation and loneliness in older people (aged 50+) by increasing social engagement, independence and resilience. The most significant change we are seeing is in improved mental wellbeing. The people supported by Circles are also increasing their social connections through the project. 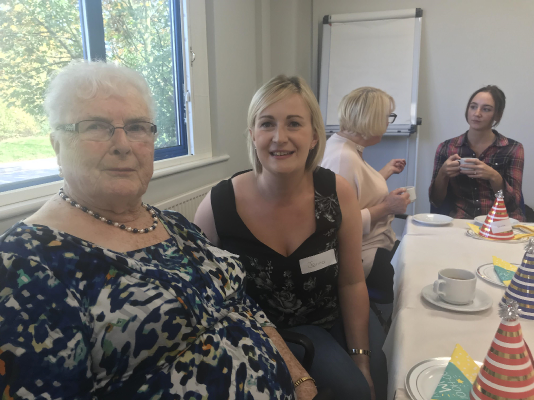 The report launch was delivered by our evaluation partners NDTi and was well received by an invited audience of older people supported by Circles, volunteers, Age UK Doncaster board members and representatives of partner organisations. Here are some of our Circles members and volunteers enjoying themselves at the CAST Panto of Robin Hood and the Babes in the Wood We had a great day out…. (Oh, yes we did)! and hope to make a trip to the Panto a new Circles tradition! Interested in volunteering with Circles?